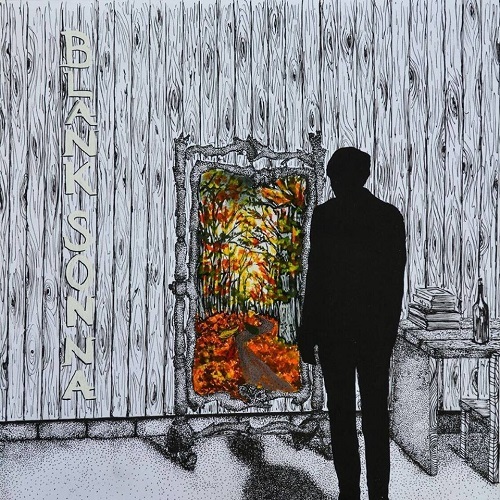 After a year and a half of hard work performing at venues and local bars, such as Metropolis and Le Petit Campus, Montreal-based indie band Blank Sonna released their first self-titled EP on Dec 15. It is difficult to characterize this band’s genre, as their music combines a wide variety of beautifully executed sounds. From soft, acoustic rock to classic 80s background melodies, their sound is reminiscent of bands like Radiohead and Arcade Fire. Blank Sonna’s lineup consists of singer-songwriter Agustin Nicolas Mukdisi, his sister Camila Mukdisi on vocals and keyboards, bassist Remi Baracat, guitarist Simon Tardif and drummer Jordan Markov. There is a strong sense of multiculturalism within the band, as they each come from different parts of the world. “We blend various influences such as Argentinian, Arabic, Bulgarian and Québécois music,” said Camila. For instance, Agustin wrote the song “Rescuer” during a trip to Brazil to see Argentina play in the World Cup two years ago. “I went to Brazil with a friend to see the game but we didn’t have any money. All we had was an acoustic guitar and a Peruvian cajón,” a box-shaped percussion instrument, said Agustin. He and his friend decided to play on the streets of Brazil for money. “On the first few days, we started feeling low. We weren’t motivated because we weren’t making enough money and I got sick,” Agustin said. “Out of nowhere, a girl who was walking by stopped to hear us play and we became friends. She took us to a hostel and paid for everything and took us out to dinner.” She motivated them again, said Agustin. They continued to play on the streets and ended up making enough money to go to the game. “Based on this experience, I wrote the song ’Rescuer’ because I felt that she rescued us that day,” said Agustin. Currently, Agustin is in the mountain village Villa General Belgrano in Córdoba, Argentina. It is the hometown of Sofia Bursi, the artist who drew Blank Sonna’s EP cover album. “We spoke together about the album cover, I told her about the idea we had of having a mirror, because one of our songs is called “Reflection” and we wanted a reflection of a soul on the cover,” said Agustin. The reflection is staring at a mirror that leads the way to a colourful forest in contrast to the black and white background. Agustin said what he loves most about the drawing is that it represents all four songs of the album. Agustin will be heading to Buenos Aires at the end of January to start recording his first solo album. “I have songs that I didn’t think would work with the sound of Blank Sonna,” Agustin said. “I do not want it to sound like the band. I want it to be different. It’s going to be much more electronic and it won’t have an acoustic drum set.” He will be working alongside music producer Shaw, who also worked on mastering Blank Sonna’s EP. Agustin said he will return to Montreal by the end of February. “We want to do a show to promote the EP upon my return, and our goal as a band would be to add new songs to our album to eventually release an LP when we are ready,” said Agustin. Can musicians succeed without physical CDs?